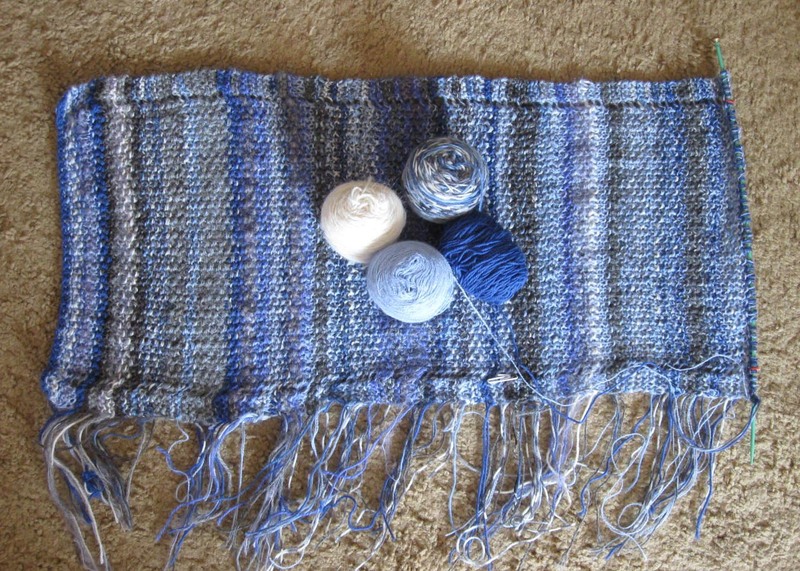 Q1 of the 2012 Sky Scarf project. 2012 Sky Scarf: January, February and March skies. If March went out like a lion, he was a fuzzy little, cuddly kitty cat. Scattered light showers interjected partly cloudy skies throughout the day... steel blue, light blue, light grey and silvery white.